The Washington Capitals have re-signed right winger Tom Wilson to a $31.02 million, six-year deal. ARLINGTON, Va. — The Washington Capitals have re-signed right winger Tom Wilson to a $31.02 million, six-year deal. The contract carries a $5.17 million salary-cap hit through the 2023-24 season. General manager Brian MacLellan announced the move Friday night. Signing Wilson was the final need on the Stanley Cup champions' off-season checklist. The 24-year-old was their final restricted free agent. Wilson had 14 goals and 21 assists for 35 points last season. MacLellan called Wilson a unique player for his mix of skill and physicality and said he's just entering his prime. In 391 regular-season NHL games, the Toronto native has 35 goals and 69 assists. The 2012 first-round pick became a top-line winger this past season playing with captain Alex Ovechkin. Which Hockey Hall of Famer makes T.J. Oshie's list as the most superstitious teammate he's ever played with, and more from the proud Warroad, Minnesotan! Washington Capitals forward Tom Wilson’s 20‑game suspension for an illegal check to the head of St. Louis Blues forward Oskar Sundqvist has been reduced by Arbitrator Shyam Das to 14 games, available here. No question that the strangest game day superstition Andre Burakovsky has ever seen, is one he was a part of. 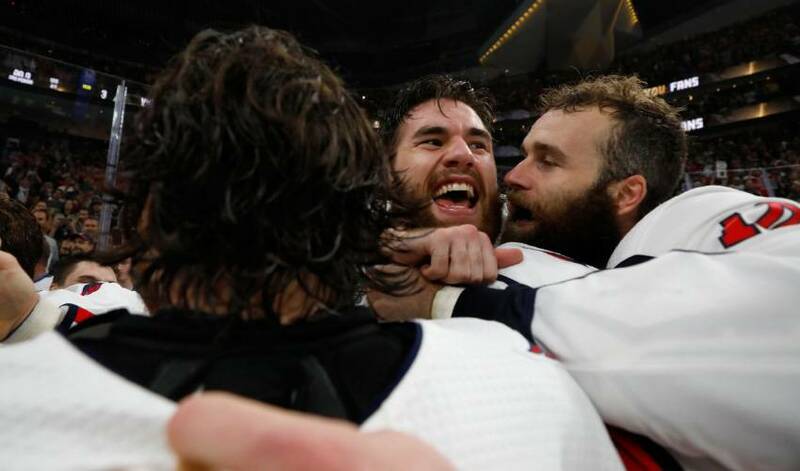 History tells us that players will not closely follow the proceedings of the Stanley Cup playoffs if he doesn’t make the postseason or his team has been eliminated. Ovechkin managed to outduel some serious competition at the 2018 ESPYs.